I’ll probably write a post on the route itself, another on how gear faired etc…but let’s start with some stats about the trek and some random factoids. 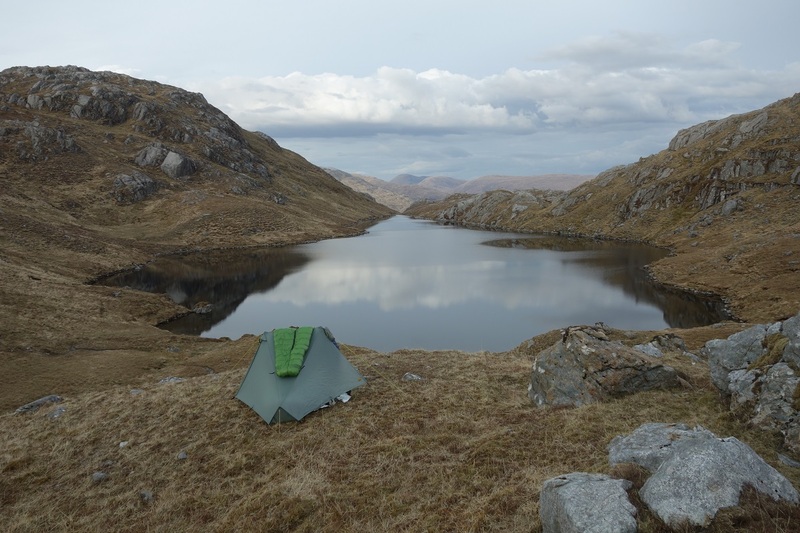 One night in Glen Coe tested the limits of my tent (Tarptent Notch), with gale force winds and driving rain, hail and sleet. It came through unscathed. Microspikes were packed, but I was never forced to use them. I posted resupply parcels to Kinlochleven and Bridge of Balgie, and one month before the TGO Challenge I cached a parcel by Baddoch Burn just south of Braemar. I never want to eat Trail Mix, peperami sausage, or porridge again. Totally sick of the sight of it. No blisters, sore feet, or other ailments. Just one near miss when I drank copiously from a nearby stream next to my pitch, only to spot a decaying sheep carcass in a tributary the next morning. Luckily just downstream. 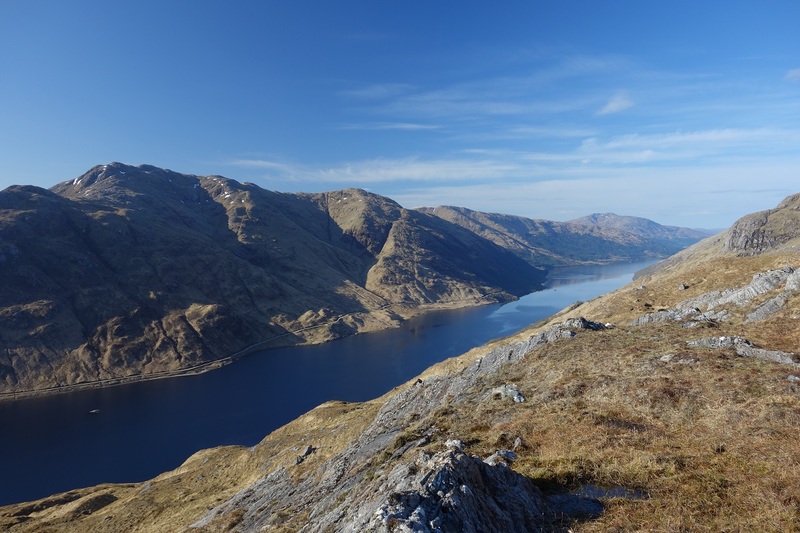 The hardest day was undoubtedly Day 1 over the Moidart Corbetts. A tough and exhausting high level day over trackless terrain, with significant height loss of each Corbett. Well done John, that’s possibly the toughest route undertaken this year. 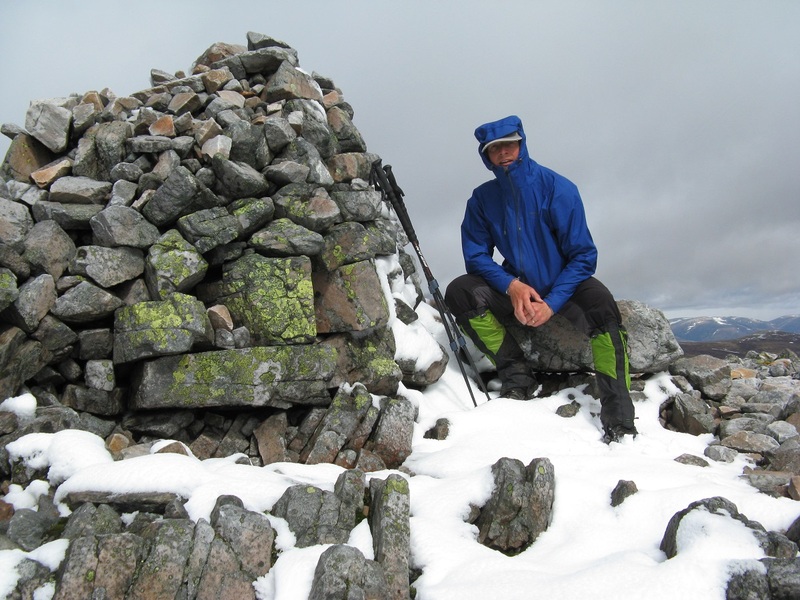 Apart from our brief encounter in Montrose, I think Sue and I glimpsed you striding up Broad Cairn in a snowstorm whilst we were bimbling between a couple of nearby Munro Tops. Thanks Martin, it was good to bump into again, if briefly, at Montrose. It was a tough route, especially on paper. 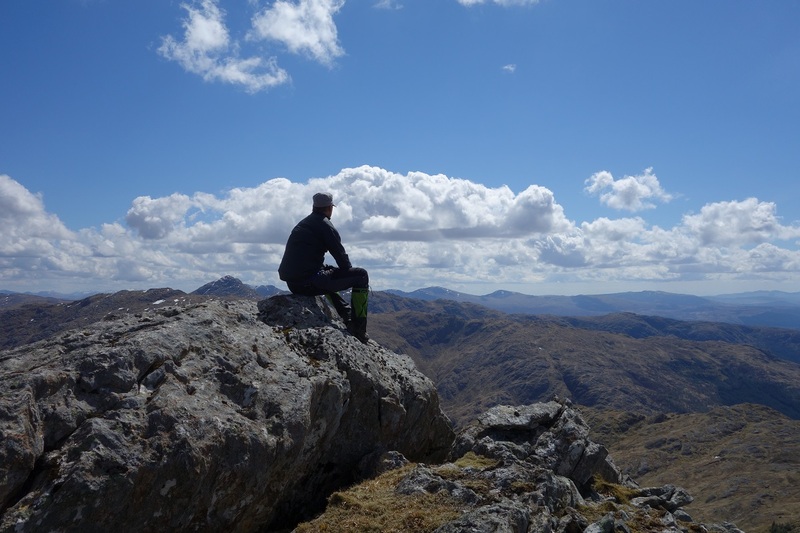 In fact that first day over all the Moidart Corbetts in one go had me near exhausted and wondering whether I’d perhaps planned a bit too much. 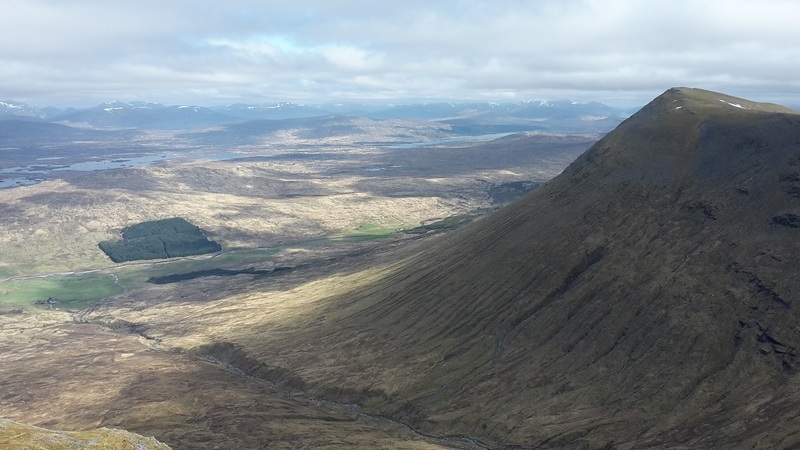 But fitness seemed to be at a good level, in fact in the later stages I was picking out extra munros to add in as I passed. I think the route fitted me perfectly and I enjoyed every minute, walking across Scotland for two weeks with a permanent smile on my face. Respect to anybody who tries it. It’s not an ideal first day, but the views of the coast from the first corbett and the feeling of trekking over peaks people less often visit was worth every moment. Every day after that felt easy by comparison. Actually, I now realise I managed all the Moidart Corbetts, but over a day and a half. It was the Ardgour ones that defeated me, and I thought that was where you were going. 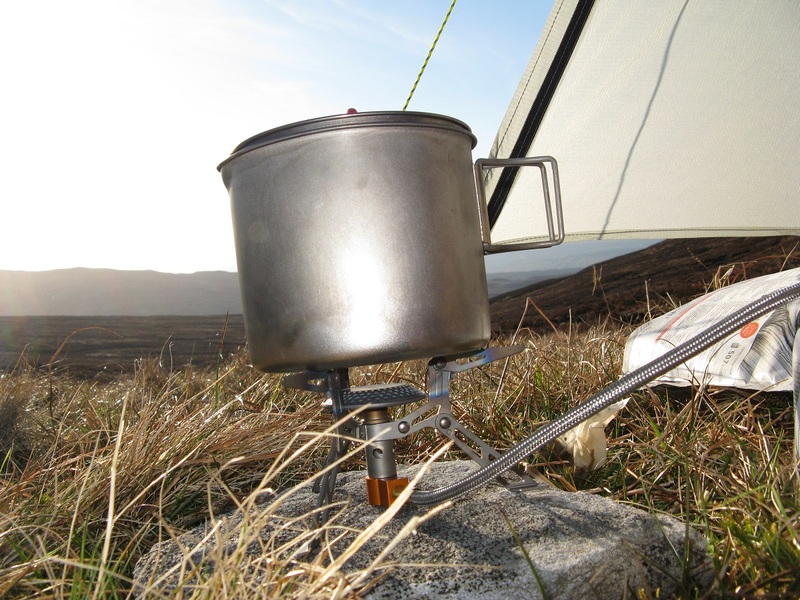 I also remember a fabulous wild camp at the top of Mam na Gualainn on Day 4. What a fantastic experience this must have been. I look forward to your posts. It was superb, there’s so many special things about the TGO. Quite apart from the social side, which is unique, the fact that you plan your own route across gives you a real sense of achievement. If you then thoroughly enjoy your own route then it just doubles the satisfaction. You don’t of course need to wait for the TGO to plan your own long route, but with busy lives sometimes this looks like a time consuming task. 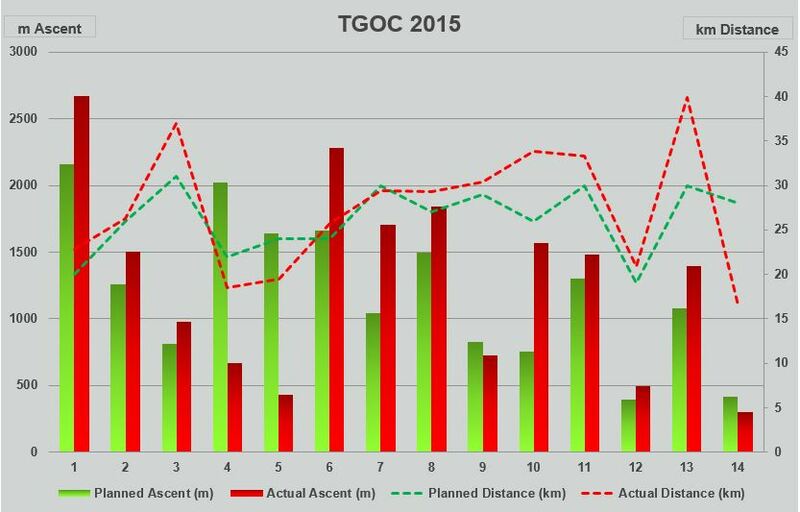 The TGO gives you an incentive, and when else would you get so much support and advise along the way from seasoned professionals. This post confirms what I knew…you never choose an easy route if there are big hills about. Your stats are awe inspiring! I look forward to your subsequent posts. I too plan a thematic approach go my blog write up but may take a while to get round to it. I think if your fitness is OK you just seem to get into the swing of it and it gets easier each day. And the route helped by being continually energising start to finish. I’d encourage others to swing further south, it’s quiet and there’s so much scope for altering the route as you go along. The only bit of road walking I did before exiting the Fetteresso Forest at the East Coast was crossing the Corran Ferry. I’m so full of admiration, I’m stuck for words – an unusual occurrence for me! Very well done. Thank you Ruth, but to be honest I have a great deal of admiration for somebody who undertakes the sort of challenge you have set yourself. It takes a special sort of perseverance to take on such a mammoth long term walk and maintain your drive and enthusiasm from one year to the year next. I can’t even begin to imagine the logistics challenges as the route begins to get further from home.